MidTop Suede Driving Shoes – Select Size and Color. 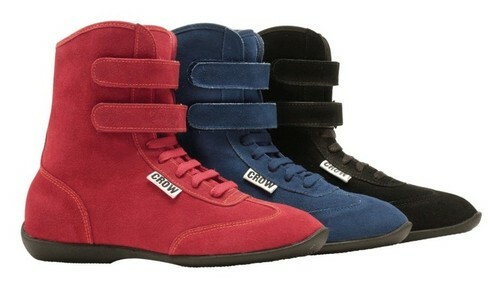 Blue and Red Race Shoes are available by order. NEW styled MID TOP DRIVING SHOE with additional heel support. Exterior leather guard on outside of both shoes. One-strap closure adds to comfort. Satin suede with flame retardant interior. SFI 3-3.5 approved.